Soviet oligarchs may take up riotous living once they settle in the West, but the Soviet Union isn’t a place one really associates with levity. 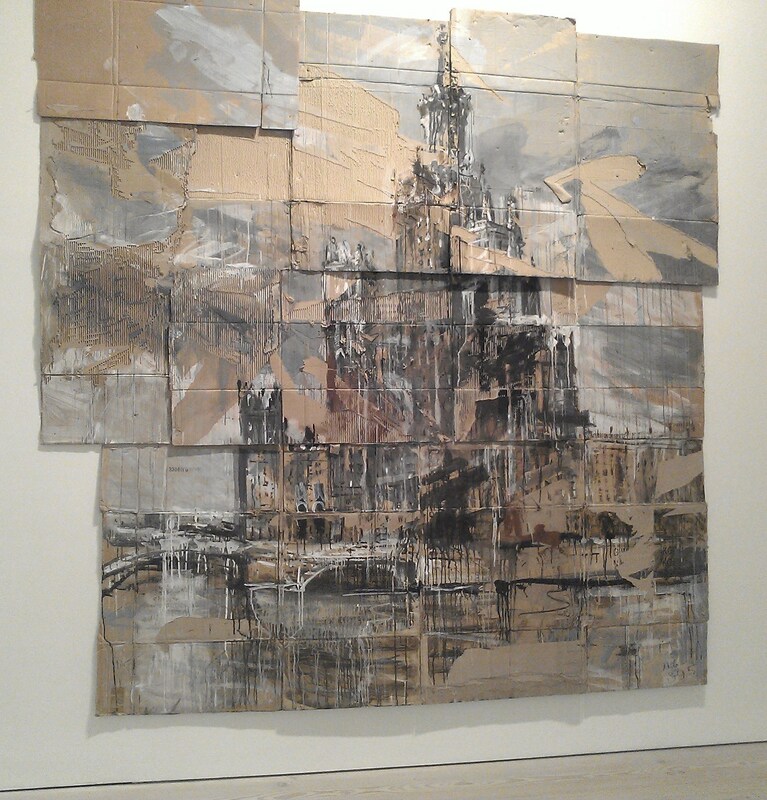 The full irony of the title Gaiety is The Outstanding Feature of the Soviet Union: New Art from Russia, however, doesn’t actually hit one until you have seen the extended scope of the Russian artwork on show at the Saatchi Gallery (until 5 May). The unrelenting misery of life in a land of snow and ice becomes apparent particularly in the photographic documentation of ordinary lives. 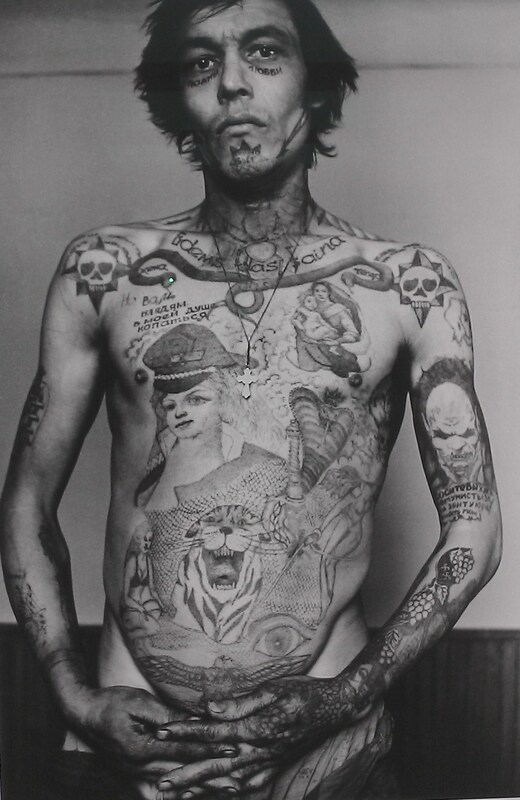 The images will haunt you: sleeping rough in the cold, revealing the naked scars of poverty in an icy wasteland, bodies tattooed with peculiarly Russian symbols, individuals relaxing on windowsills high up in tower blocks, all blown up in colourful detail on the huge walls of the gallery. Besides the photographs, there are other works, mainly installations, which seem to be a rather random choice of artists. There are pastels of alien figures in outrageous scenes, delicate wooden cut-outs, and my particular favourite, sensitive impressions of great buildings like the Paris Opera, juxtaposed with the ephemeral cardboard on which they are drawn. 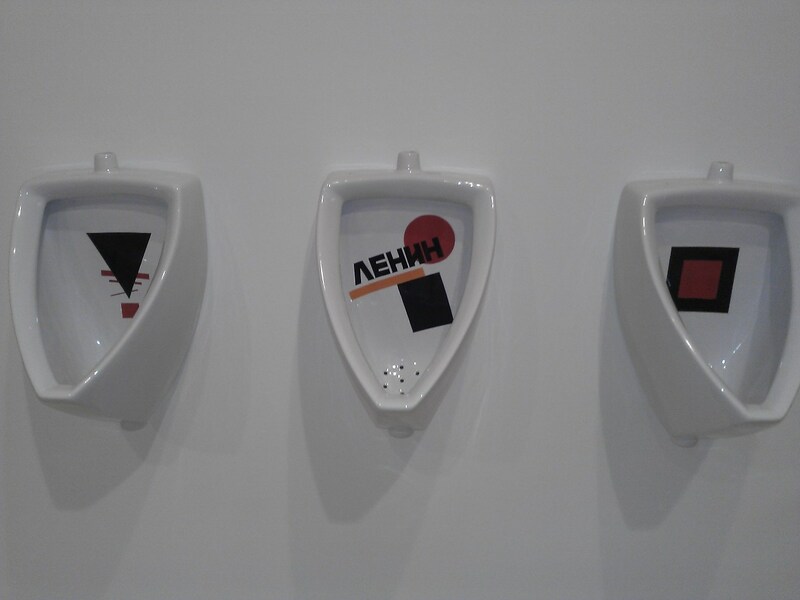 Probably even more important is the short retrospective of Soviet art, Breaking the Ice: Moscow Art 1960 – 80s (until 24 Feb) upstairs in the Saatchi Gallery which offers more familiar imagery from the USSR, even without the top names. 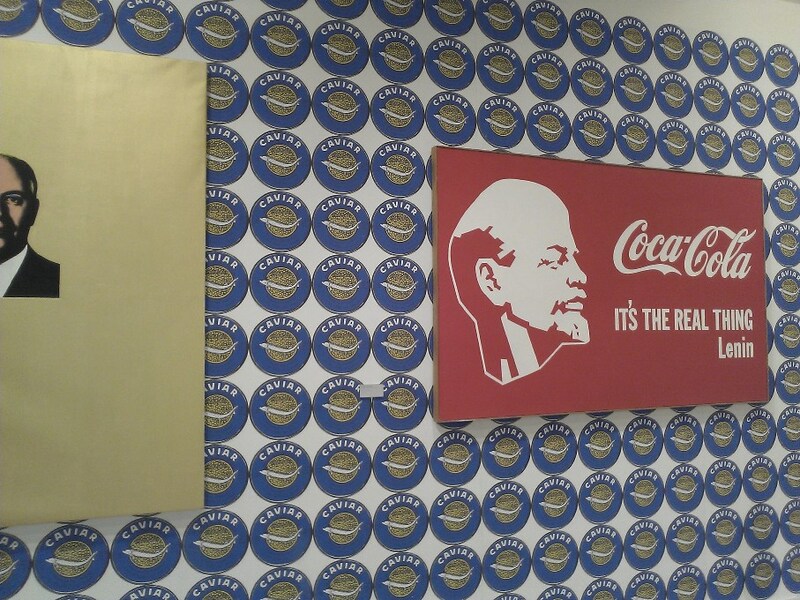 Taking the viewer through periods such as constructivism and abstraction it ends with a marvellously satirical take on Russian propaganda art – the point where Lenin meets Coca-Cola. January 5, 2013 in Visual arts.